Thursday Thoughts: The "What, Why, or How" - What is More Important? If you have been implementing any ideas from my blog, you should be moving away from pathoanatomy during your patient interaction. Here is a recent example of the Runner Case I posted about in August. On the second visit, he asks, "I know you're the expert, but when I got home, my wife asked, 'So, what do you have?'" He could only reply, "I'm not sure, he actually didn't give me a diagnosis." My reply was, "You have knee pain." I told him about the recent study that showed patients who received MRIs for their lumbar spine had worse outcomes than those who did not. This possibly planted Thought Viruses in their heads, lowering the pain and movement thresholds. the "What" you have is less important than the "Why"
This may be difficult at first, moving away from the "patellofemoral syndromes," "shoulder impingements," "disc derangements," etc. However, it is the most realistic based on current evidence regarding pathoanatomy and how little it relates to what a patient's perception of their pain and condition. 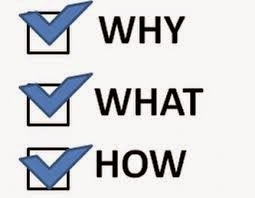 Can you be transparent, and focus more on the "How," then on the "Why," and very little to no of the "What?" Trust me, in the end, it's very liberating and most patients appreciate honesty and the ability to self assess and treat. For those that do not, give your best educated guess.